When doing my research on Iran before this Middle East trip, there were two particular cities that particularly caught my attention. Yazd is one of them. 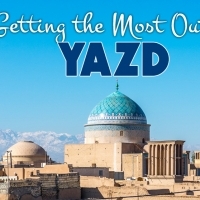 Being the centre of Zoroastrianism and the main religion of some of the Persian great empires, Yazd is the city I would not want to miss. 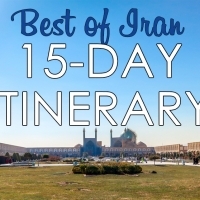 Even though I would be spending only a few hours in Yazd, I wouldn’t mind taking a bit of detour, just so that I can catch a glimpse of Yazd. Upon travelling around Iran for few days, I came to realise that indeed, I made the right decision to come all the way from Esfahan to Yazd. 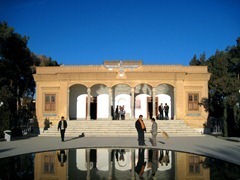 Zoroastrianism has been one of the defining elements of Persian culture. 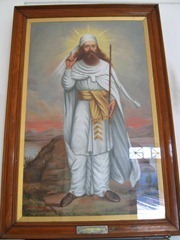 Symbols of Zoroastrianism are often found in arts and handicrafts, decorating the walls of almost every Iranian homes and public places. Festivals in Iran are related to the ancient Zoroastrian traditions and calendar and they’re being widely celebrated in this country. 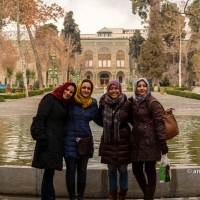 Zoroastrianism has a profound influence over Iranian culture and Iranians are very proud of it. The fact that Zoroastrianism existed pre-Islam and it’s a monotheistic religion make me interested to know about this ancient and almost dying religion. After lunch, Jamileh drops us off at the Amir Chakhmakh Square, as she has to settle some stuff at work. Without a proper map, we are left to wonder the city centre to ourselves. To be honest, you don’t really need a map when you’re in Yazd. Go around, take the small alleys, and just get lost! It’s really fun. 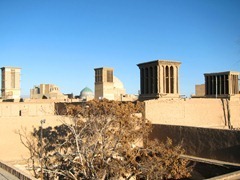 The traditional houses with their magnificent windcatchers turn Yazd to be an architecturally unique city. It’s something that is totally different compared to what I see in Tehran or Esfahan. I am quite mesmerised by it. I tell Ikmal and Nabilah that I really want to see the whole city from the rooftop of any building. So we try to open any doors of any houses we come across — only to find that all of them are locked. Then I try to knock each door, hoping that a stranger would open the door for us. And? It’s indeed our lucky day! A young boy allows us to go inside his house (with his mom’s permission, of course!) and go to the rooftop of the house. We have to use sign language to express our intention and we manage to understand each other. I have to say that the view from the top is beautiful! The windcatchers can be seen as far as your eyes can see. They are scattered everywhere in this brown-colored city. They’re quite impressive and they remind me of the traditional houses of the Bedouins in Saudi Arabia. 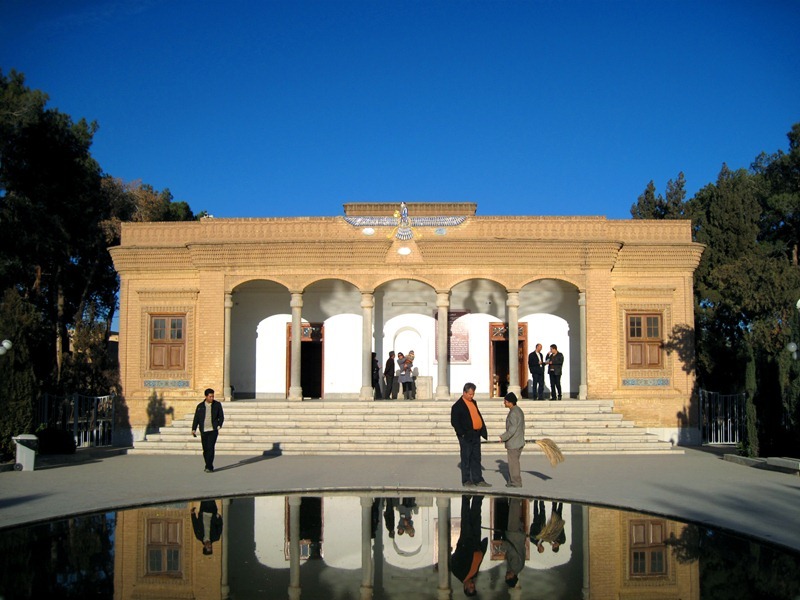 Our next stop is the famous Zoroastrian Fire Temple, known in Farsi as Atashkadeh. This place of worship was built in 1934, hosting the highest grade of fire according to Zoroastrianism, known as Atash Behram, which requires the gathering of 16 different types of fire. 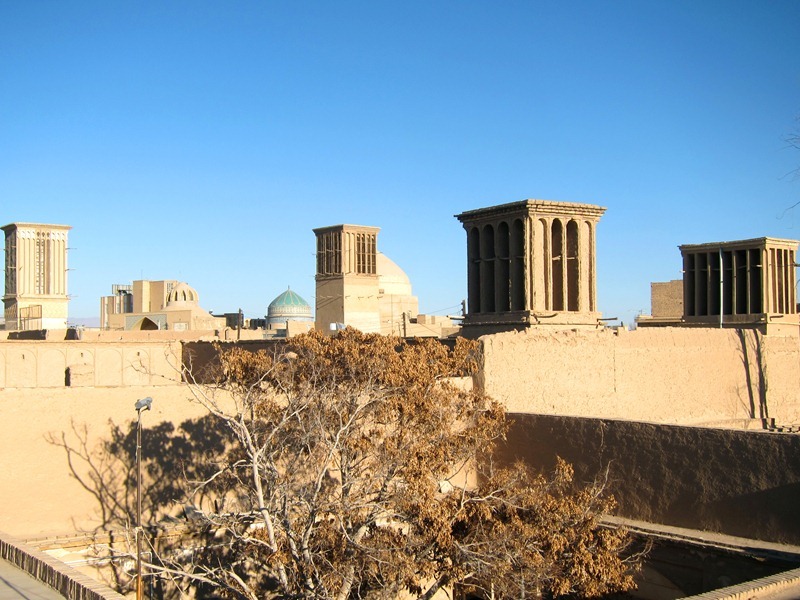 The sacred flame is said to have been continuously burning since 470 AD, transferred from an earlier temple (Nahid -e-pars) to Ardakan, then to Yazd and its present site. It’s now placed behind a glass window inside the temple. 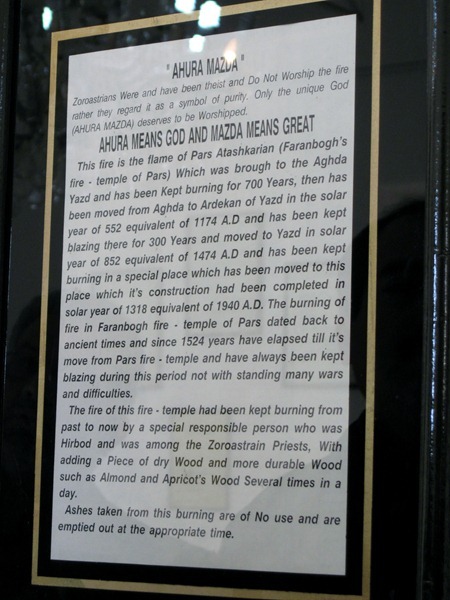 For Zoroastrians, fire symbolises purity and presence of one God, Ahura Mazda. 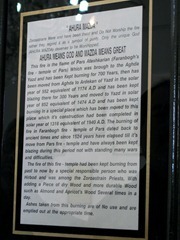 It’s the responsibility of Zoroastrian priests to take care of the fire and ensure that it’s continuously burning. 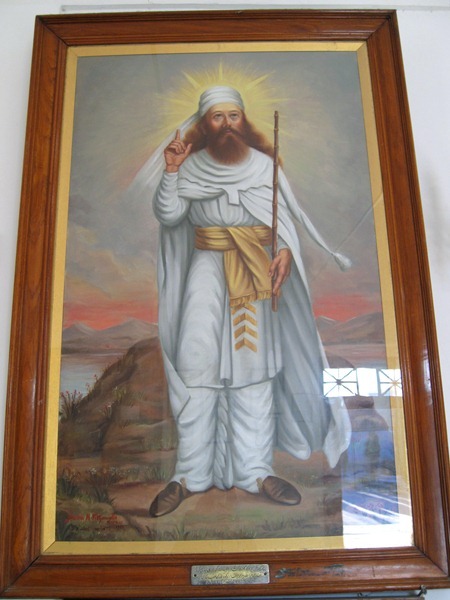 FYI, Zoroastrians are explicitly mentioned in the Qur’an as Magians (Ma’jus), with Zarathustra as their prophet. 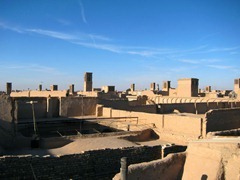 The term also occurs in the trilingual inscription of Darius the Great, the third king of the Persian Achaemenid Empire. It’s during the Achaemenid era that Zoroastrianism became its state religion and continued to spring up in Parthian and Sasanian empires, before the Muslim conquest and the adoption of Islam in Persia. 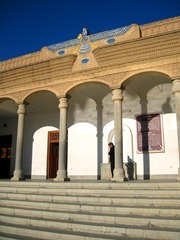 Inside the Fire Temple, there are a number of short writings describing some Zoroastrian concepts as well as its scripture called Avesta, which is written in Avestan language. One interesting thing I learn from this Temple is the meaning of Faravahar, the most well-known Zoroastrian symbol, which has been adopted as the national symbol of Iran. Although the specific meaning of Faravahar is still debatable, it is often being associated with Fravashi, which is described as a guardian angel in some extent. The old human figure in the centre of the Faravahar represents the human soul, who is wise (old), strives for excellence (his hand pointing upwards), and his regard for Ahura Mazda (also because of his hand pointing upwards). The stretched wings, consist of three rows of feathers, represent good thoughts, good words and good deeds, which is the basis of Zoroastrian ethics. On the other hand, the tail is composed of three rows of feathers, representing bad thoughts, bad words and bad deeds, in which every Zoroastrian struggles against. It’s such a coincidence that tonight is the Zoroastrian celebration of Persian winter solstice, otherwise known as Yalda. 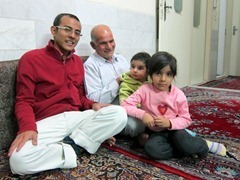 Despite being practising Muslims, Jamileh and her family celebrate Yalda. Just like the Persian New Year (Nawrooz), Yalda has lost its religious significance and it became a social gathering for many Iranians instead. 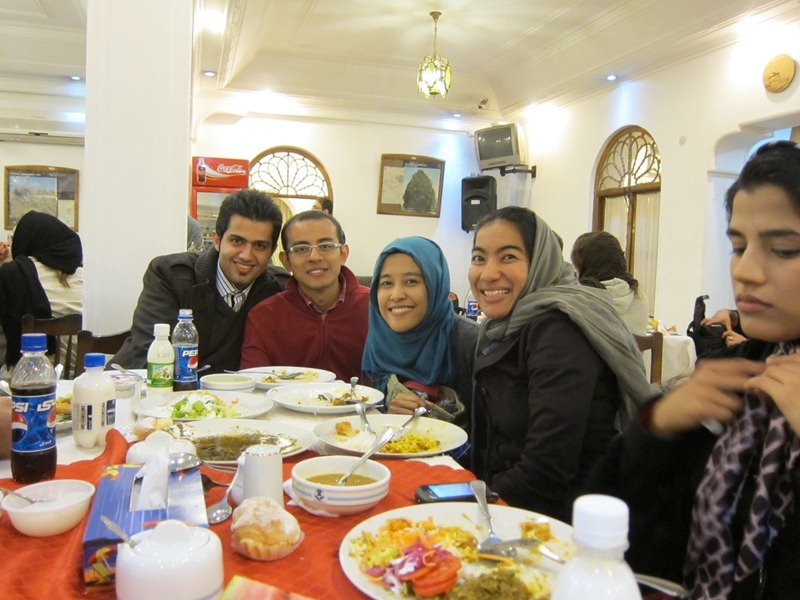 Since it’s a special day, Jamileh and her boyfriend invite us for a buffet dinner at Hotel Laleh’s restaurant. I’m surprised to see so many people here — and yes, we’re the only foreigners (all eyes are on us once again!). Even the foods run out so quickly! 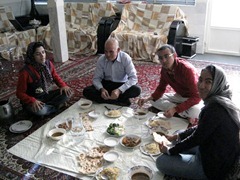 While waiting for the foods to be replenished, we mingle with Jamileh’s friends and watch a nice traditional music performance. The singer sits and holds a big book of lyrics, I presume. It’s a very emotional performance! I am very curious what kind of book he’s holding, so I go to the stage and ask him directly. It turns out that he’s singing poems of Hafez, the great Persian poet that every Iranians love. It’s believed that in every Iranian house, you can always find these two books: the Qur’an and Hafez’s poetry book. 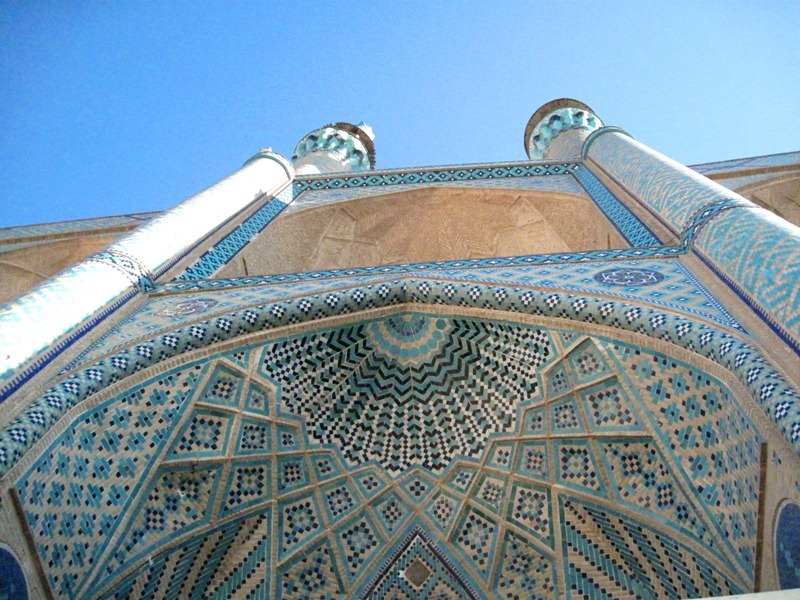 All Iranians I’ve met have spoken highly of Hafez and how his beautiful his poems are. Oh I wish I know what the poems are all about! 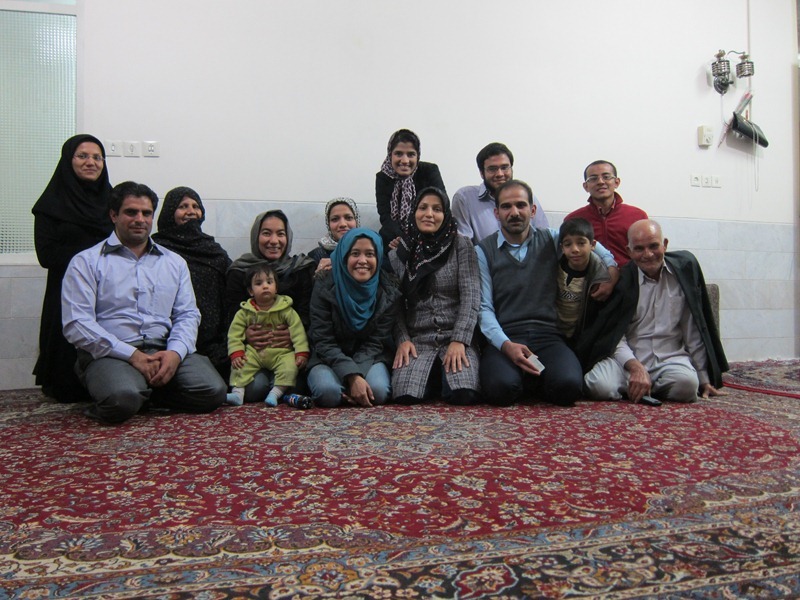 After dinner, we go back to Jamileh’s house, only to find the whole family members, including the in-laws, are gathering for Yalda celebration. There are lots of watermelons — one of a must-served fruit during Yalda. 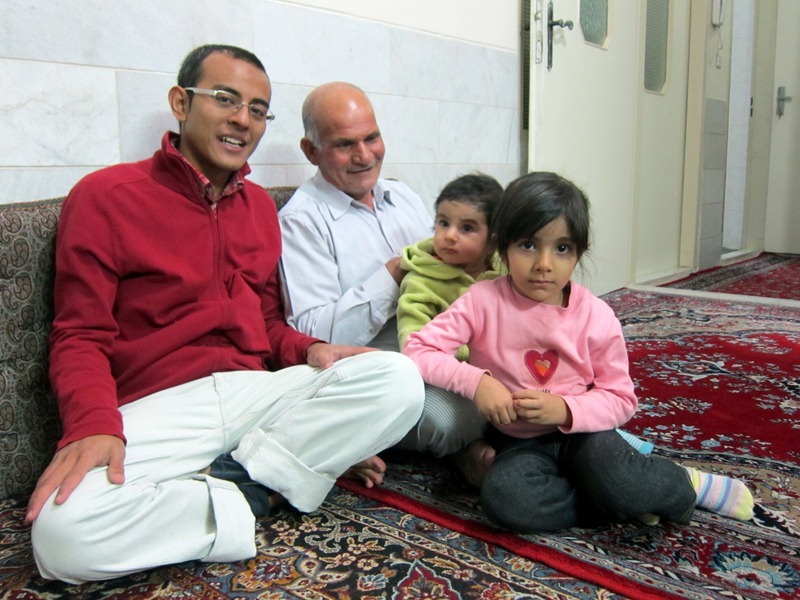 We spend the night by playing with her nieces and talking to Jamileh’s family. The conversation shifts to us being Sunnis, which is the question/subject I’m already used to. Being a Sunni is something out of the ordinary since most of the Iranian populations are Shias. One of Jamileh’s family member suddenly asks me why Sunnis killed so many Shias in Iraq. The question catches me off guard! 😀 But I manage to answer it to the best of my ability. 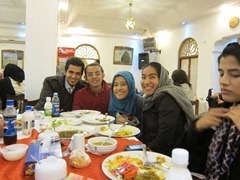 Oh well, I really had a great day in Yazd. I’m so grateful to have met Jamileh’s family and celebrated Yalda with them. It’s such a unique experience! 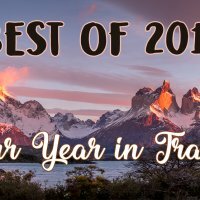 It would have been a totally different experience had we stayed in a hostel or guesthouse — we’d have probably missed the significance and importance of this day. It’s getting late and we have to go soon. It’s time to bid farewell to Jamileh’s beautiful family. Her mom kisses and hugs me so tight. It’s so heartbreaking to see her shed her tears. I’m so moved by it. Our night bus is waiting for us to take the journey to our next destination, Shiraz.